NeverWake’s music is a sinew of rock and metal which forms a pathway for dark guitar harmonies to unwind into shredding leads. Symphonic choruses and melodic vocals pull the listener into a haunting trance and awaken’s them with undeniable guttering of heavily distorted breakdowns. Described as “smashing ‘Bullet For My Valentine’ and ‘Trivium’ together,” NeverWake’s second and most recent studio album is “SleepWalker,” crafted at Innovation Studios with producer/engineer Mike Ofca and mastered by legendary engineer Ted Jensen at Sterling Sound. Their debut full-length album “Vitality” was released in August 2011 and the single “Cut You Down” on Halloween of 2012. In late 2013 NeverWake teamed up with Dino Giovannone and Joe Macre of Atomic Cowboy Productions. In early 2014 NeverWake signed with Melodic Revolution Records. On October 31, 2015, the band re-recorded Michael Jackson’s Thriller and the track was released on the Limited Edition Incinerate CD October 21, 2016. The new version of thriller was recorded and produced by John Moyer of Disturbed. 2018 NeverWake releases their first single “Are You In There” off their upcoming EP “Misguided, produced by John Moyer of Disturbed. “Are You In There” tells a story with which everyone can relate, but most don’t want to admit. Breaking down your own wall of pride is hard, but getting through someone else’s is a different story. NeverWake was chosen by the AEG Live promoters to play on the first ever ReverbNation stage at the annual hard rock and heavy metal music festival Carolina Rebellion 2015. Kicking off the weekend for 60,000 fans, NeverWake has had the incredible opportunity to support such bands such as Korn, Slipknot, Nonpoint, Periphery, Adrelian Mob, and the Butcher Babies and much more. 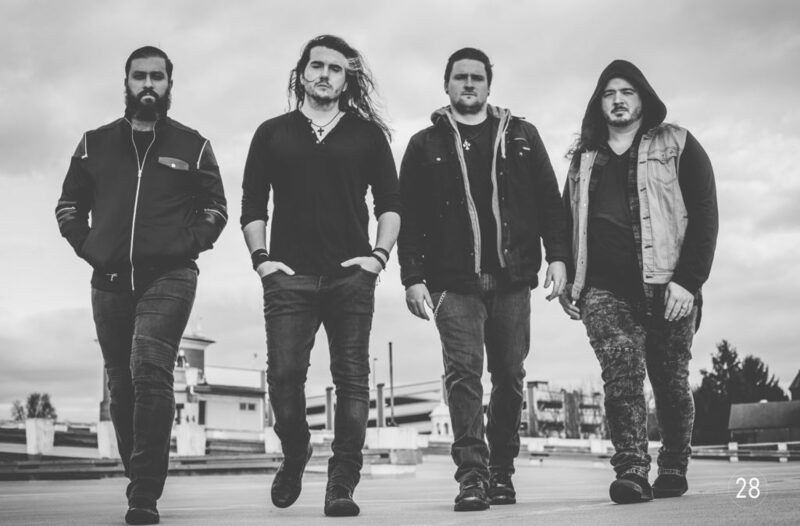 In April, NeverWake rocked alongside various artists from Iron Maiden, Disturbed, and Twisted Sister, (The Foundry), at The Hard Rock Cafe in Pittsburgh. The band has also performed multiple shows at the SXSW, Heart of Texas Rock Fest. Earlier in 2015, the band played at The ReverbNation Stage for the Millennium Music Conference Showcase, Altar Bar in Pittsburgh and several other local and nationwide venues. NeverWake is proud to be endorsed by Schecter Guitars. DR Strings and Splawn Amplification. NeverWake – Suffocate from Melodic Revolution Records on Vimeo.